Knoxville, Tennessee – May 12, 2016 – Downtown Smooth Esthetics, one of the Knoxville area’s leading skin care spas, today announced that they have partnered with DermaMed Solutions, one of the leading Microdermabrasion equipment and professional skincare companies in the United States, to be the first to bring the OxyGeneO™ 3-in-1 Super Facial exclusively to the Knoxville area. DermaMed Solutions is an Exclusive Distributor of geneO™+ technology and the OxyGeneO™ 3-in-1 Super Facial treatment products in the United States. The OxyGeneO 3-in-1 Super Facial is a one-stop maintenance facial that softens the appearance of fine lines and wrinkles, minimizes pore size, and revitalizes dull complexions providing a balanced healthy look. It is a breakthrough skincare technology that performs three actions simultaneously: gentle skin exfoliation, infusion of essential revitalizing nutrients and natural skin oxygenation. Similar to the natural hot springs effect, the GeneO+ is the world’s first technology that naturally oxygenates the skin from within thus significantly accelerating the absorption and optimal utilization of nutrients both during and after treatment. “When we talk to our clients and people who have experienced the OxyGeneO 3-in-1 Super Facial, we hear about how great their skin feels, how gentle the treatment was, and how soft their skin feels afterwards, and we also hear that it’s a great ‘lunchtime’ treatment that doesn’t take too much time out of their day,” Ginger Hodulik, co-owner and Vice President for Research and Development of DermaMed Solutions, said. Downtown Smooth Esthetics is located in downtown Knoxville at 107 West Main Street, Suite 201. Their phone number is 865-230-7113. Additional information is available on their website at http://www.downtownsmooth.com. 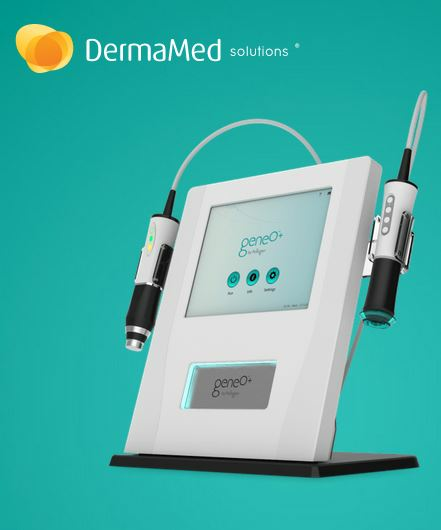 DermaMed Solutions, based in suburban Philadelphia, is an Exclusive Distributor of the geneO+ technology and the OxyGeneO treatment products in the United States. The geneO+ redefines facial treatments, with the integration of the most effective skin-enhancing technologies for the ultimate Super Facial, OxyGeneO and ultrasound, for an all-in-one skin renewal treatment. The geneO+ technology is a cutting-edge anti-aging solution that redefines cosmetic treatments. Gentle yet effective, OxyGeneO Super Facials simultaneously provide three essential skin-care treatments: exfoliation, natural skin oxygenation, and infusion of revitalizing nutrients through Ultrasound. DermaMed Solutions takes a “whole-istic” approach to skin care. The company’s medical and spa partners benefit from DermaMed Solutions’ leading-edge aesthetic technologies, results-oriented skincare and wellness solutions, as well as their educational and training endeavors. Since 1998, DermaMed Solutions has provided thousands of spa and medical locations with quality aesthetic equipment manufactured in the USA, such as the MegaPeel®, known as the industry gold standard in microdermabrasion. The company’s dmSkincare line of skin care products and protocols, along with nutritional supplements and home care regimens, provides users with a multi-pronged approach to offer maximum results. The company is an Exclusive Distributor of geneO™+ technology and the OxyGeneO™ Super Facial treatment products in the United States. The geneO+ redefines facial treatments, with the integration of the most effective skin-enhancing technologies for the ultimate super facial, OxyGeneO and Ultrasound, for an all-in-one skin renewal treatment. The company’s products are available primarily at salons, spas and other skincare professionals. Additional information is available at http://www.DermaMedSolutions.com.